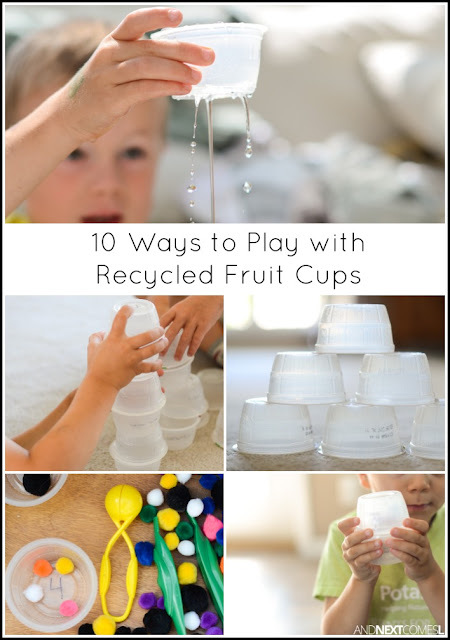 There's always consistently lots and lots of plastic fruit cups in my recycling bin. I do like to hoard them though. Simply because they are versatile for kids to play and learn with. They also work amazing on the light table, if you have one. 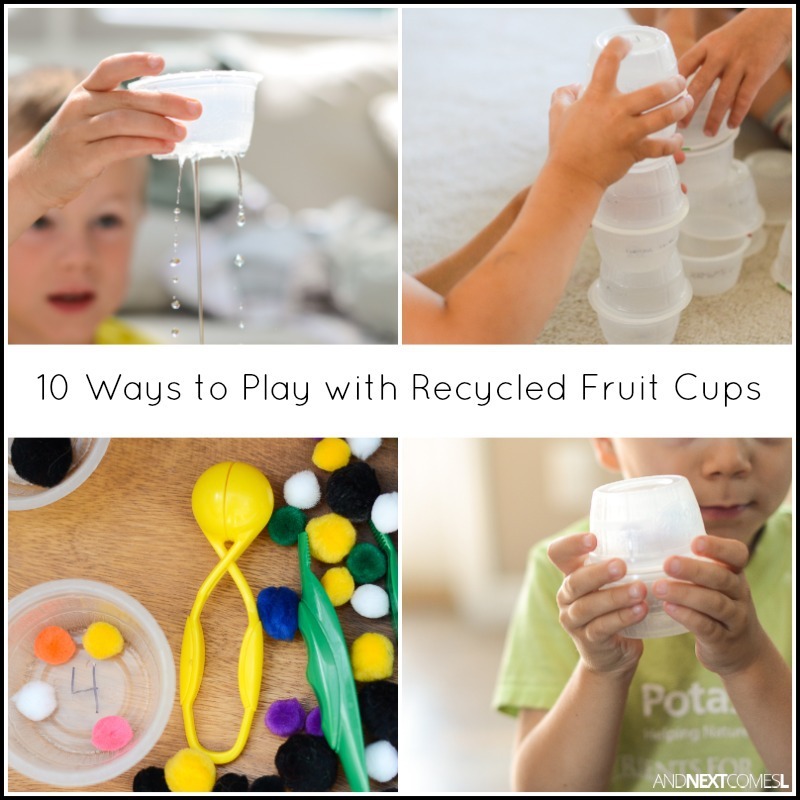 If not, then no worries because these 10 simple ways to play and learn with recycled fruit cups don't require much extra in terms of supplies. So whether you want to work on fine motor skills or make music or practice counting, these easy boredom buster ideas for kids are great for kids of all ages! If you aren't already hoarding these plastic cups like I am, then start saving them throughout the school year! You can use yogurt containers, applesauce containers, or even those individual sized fruit cups.